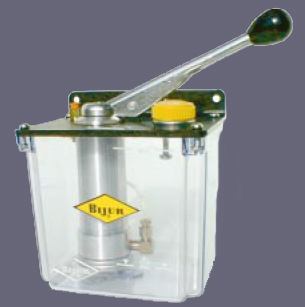 The Bijur L18P is a manual piston pump. It is operated by pulling down the handle which discharges between (6~18cc/stroke). The maximum pressure is 5 bar. The reservoir is 1 liter. The unit is available in a right hand model or a left hand model. It is designed to handle up to 75 lube points.